Everyone wants different things. When it comes to fitness and committing to your training you need to find what works for you. Discover our flexible pricing options, tailored to suit your budget. Our Small Group PT are specially designed sessions to target key areas of your body and fitness. This allows you to hone in on the areas you need to work on to drive the results you want to see. Training with others is great for motivation and your finances! The cost of 1-2-1 training can be prohibitive for a lot of people. Small Group Personal Training Programmes are a fantastic alternative as you benefit from the quality of service and individual attention you receive with Personal Training at a lower price. Book your SGPT Sessions Now! Train hard to get the muscular body you always wanted. This session will get you looking tough for the beach. It will get all the core muscles tightened up, give you larger shoulders, biceps and arms. Be prepared to put in the training to get the best body results. Develop full body strength and coordination in this small group training session. Body weight programs designed to develop full body strength and coordination. Total body workout including pull ups, olympic ring work, pushups. Use your body as one complete unit, utilise all your muscles at the same time to maximise muscular communication and calorie output. Gain size, shape strength in this fantastic progressive upper body training system designed to change your body shape in the shortest time possible. Enter the body-changing power of EMOM workouts. For a period of time you perform reps of an exercise within a minute with the time remaining to rest. The structure can be built in many ways allowing it to be as diverse as any circuit. Exercises will include body weight, weights, slam balls, watt bikes, plyometrics, etc, the lot!! A unique training system that will take your strength, cardio and conditioning to new heights. If being lean and stripping fat is your goal then this class is the one for you. There’s no escape!!! Push yourself. Workout all your muscles in this small group training session for amazing results. Program designed for people who want a full whole body all encompassing workout. We will work strength, and endurance in this class using kettlebells, dumbbells and barbells. Make big gain in your fitness in this class, challenge yourself to push further faster and harder than ever before. Prepare to sweat. This high intensity training small group session will challenge you and your body. Combination of high intensity full body weight training and spin cycling. HyperFit keeps the intensity high and sweat dripping the whole way for 45 minutes. This session will, without a doubt, raise your metabolic rate, burn calories and improving your anaerobic fitness. Perfect for those wanting to challenge their fitness levels. A dynamic and sweat busting routine. 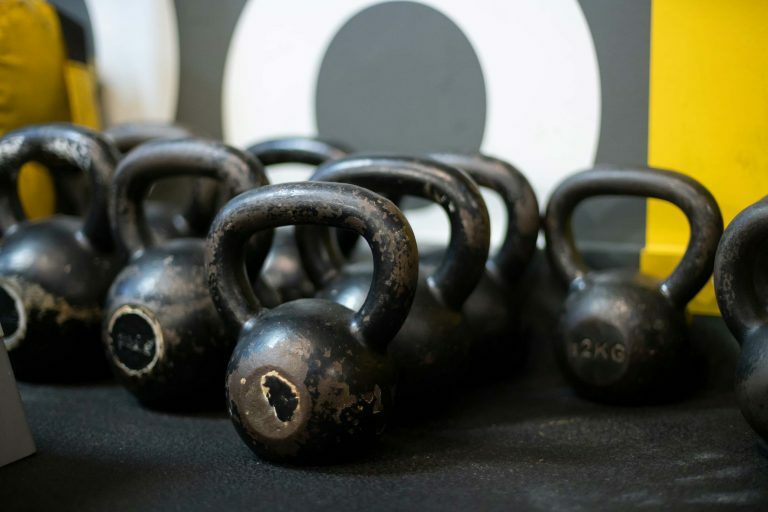 A class designed to help you develop skill in the more challenging kettlebell movements, piecing them together and creating a flowing routine of Kettlebell patterns. Kettlebells are an incredible tool that offer plenty of creative windows to get a total body workout. Time will be taken to perfect each movement before a dynamic and sweat busting routine is put together in awesome flow. Weight and strength small group personal training to reshape your body. Dynamic, strength based program designed to strip fat, boost endurance and anaerobic output raise metabolic rate. You want to get in the best shape? You want to be getting involved in Kettlebell Extreme. Progressive weight bearing training that for men and women and built to get you the body that lean and solid. Think intervals, circuits, weights, kettlebells, barbells, ropes… think squats, presses, deadlifts, pulls, swings, jumps… everything! The Metabolic Blaster session is all about Metabolic Conditioning. You will push your body to its limits using short rest periods and driving your metabolism through the roof so its effects will have you recovering for up to 72 hours, burning 100s of extra calories along the way! It’s awesome! It is the best way to exercise to burn fat whilst maintaining lean muscle development. Get ready for the beach season. Targeted training to those areas we love to work on for the beach. Let’s get training hard and let’s look our best. Come in for 45 mins of glutes, hams, abs and core. Let’s get ready to roll. Cardio and muscle small group training to really work those legs. Legs are the biggest muscles in the body and some of the most important ones to get the lean body. That’s why we’re dedicating a whole session to working them out to develop tone and lean muscle mass. This session will burn calories and raise your metabolic rate. Work every muscle in your upper body with intense small group personal training session. Get strong, develop healthy muscle for you body, great for both men and women to raise their metabolic rate, melt fat, develop lean muscle and tighten up the body. Get the body shape that you crave for. Compete in a group, encourage each other in a small group. Take your results to the next level.